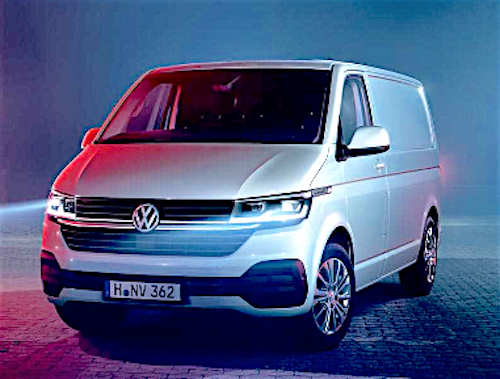 Volkswagen Commercial Vehicles has unveiled the new Transporter 6.1 at Bauma 2019, the world’s largest construction and machinery fair event in Munich. The sixth-generation of the model will over hugely flexible choice of body variants, with a panel van, Kombi and single and double cab pick-up all available. According to VW, the 6.1 suffix conveys the fact that the technical changes made to the model go beyond those of a normal product update. For example, a switch from hydraulic to electro-mechanical power steering has allowed the introduction of a suite of new safety and assistance systems, such as Lane Assist and Park Assist. At launch, the new model will be available with a choice of efficient 2.0-litre turbo diesel engines, all of which fulfil the Euro-6d-TEMP emissions standard. Based on a partnership with ABT, a zero-emission version will also be offered, with a payload of almost 1.2 tonnes.